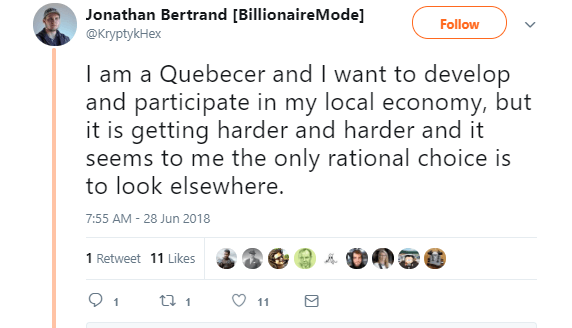 A string of tweets by Quebecois Bitcoin-mining expert Jonathan Bertrand reveals a growing negative sentiment among Bitcoin miners in Quebec. A recent string of tweets by Quebecois Bitcoin-mining expert Jonathan Bertrand has revealed a growing negative sentiment among crypto-miners within the Canadian province. 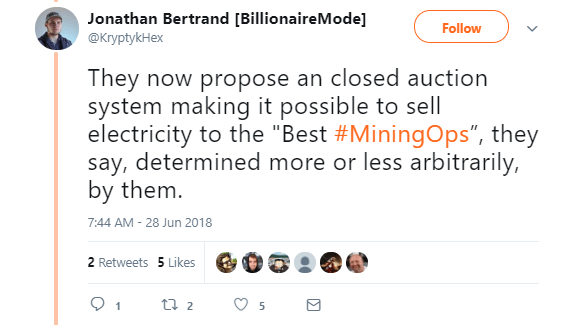 The tweets come as a response to a politically charged debate in Quebec regarding the closed-auction system now being used to determine which mining operations will be allowed to buy electricity from the province. 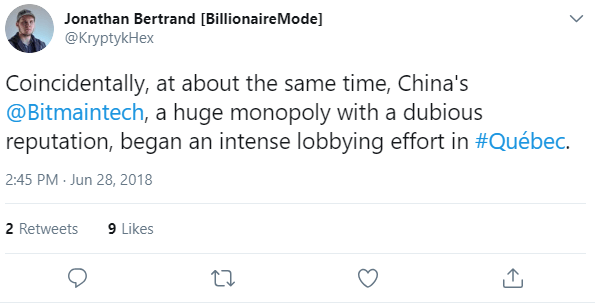 Furthermore, the tweets hint at heavy lobbying from mining-giant Bitmain as a potential reason why the province is no longer looking to sell electricity to smaller domestic mining operations. 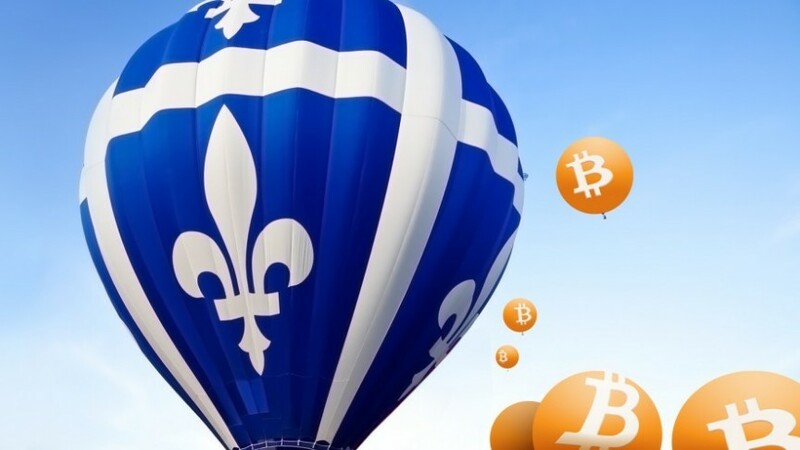 Bitmain is one of the largest crypto-mining operations in the world, and Bertrand and his supporting community of Quebecois bitcoin miners believe the mining-giant is trying to monopolize the industry in Quebec. 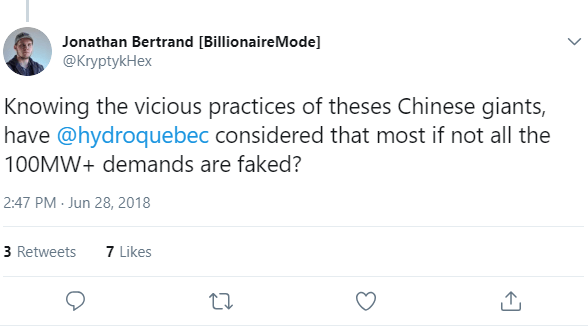 Bertrand even goes so far as to accuse Bitmain of faking a number of applications in order to push the province into reassessing their offer to sell electricity to any mining operation that wants it. 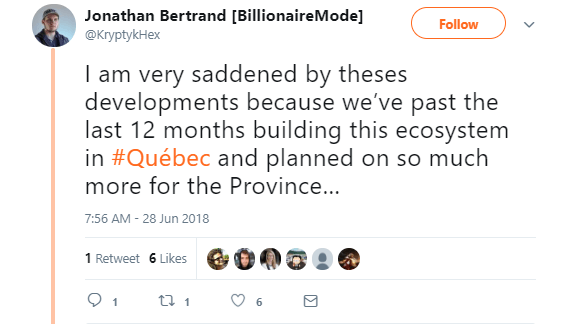 The situation in Quebec reflects the larger state of the crypto mining industry and has many within the space beginning to question whether entities like Bitmain can really provide mining services without compromising the integrity of decentralized networks. Bitmain is well-known for nefarious actions, and as exemplified by the Antminer X3 scandal that led to the Monero hard fork, the broader community simply cannot trust large mining pools to keep integrity at the center of their revenue strategies. 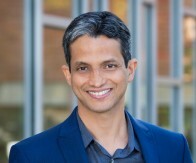 Because of this, many are beginning to question whether major cryptocurrencies will be able to remain decentralized in the face of industrial progress.